GRILL chicken 6 to 8 min. on each side or until done (165ºF), brushing with barbecue sauce for the last 2 min. COMBINE salad greens, vegetables and cheese in large bowl. Add dressing; mix lightly. 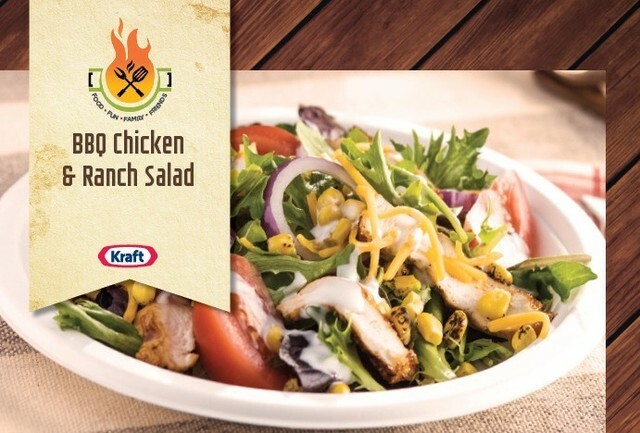 PLACE salad on 4 plates; top each with 1 sliced chicken breast.